Gets rid of those nasty triangle errors for aMidianBorn Blades Armor. 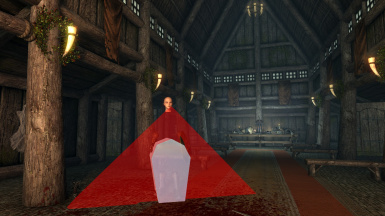 For those of you SSE players using Amidianborn Book of Silence - Armors by CaBaL- EmeraldReign-the AMB team, you would have noticed how the blades armor is bugged and creates nasty errors in the shape of big red triangles that you wish you could get rid of. Well look no further because I fixed that. 1. Fixed the invisible armor/error triangle in both third person and first person for males and females. 2. Fixed the invisible helmet/error triangle in third person for females.